One of my happiest memories is of watching my dad gather my mom into his arms and slow dance with her in the living room of our beach rental a few years ago. My aunt had whispered to me, “Put their song on,” so we switched to the Doobie Brothers’ “South City Midnight Lady.” My parents floated around the living room floor, eyes closed, my mom’s head on his shoulder. On the other hand, I’ve also seen them nag, bicker, and argue. My dad gets frustrated by my mom’s deeply ingrained habit of approaching household chores with extreme meticulousness…and a rather slow pace. My mom gets upset when my dad’s stubborn streak is on display. 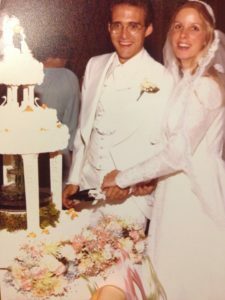 But, having parents who are still madly in love 40 years into their marriage is a blessing that can’t be overstated. It’s also a front-row seat to the little moments and habits that make a marriage work. 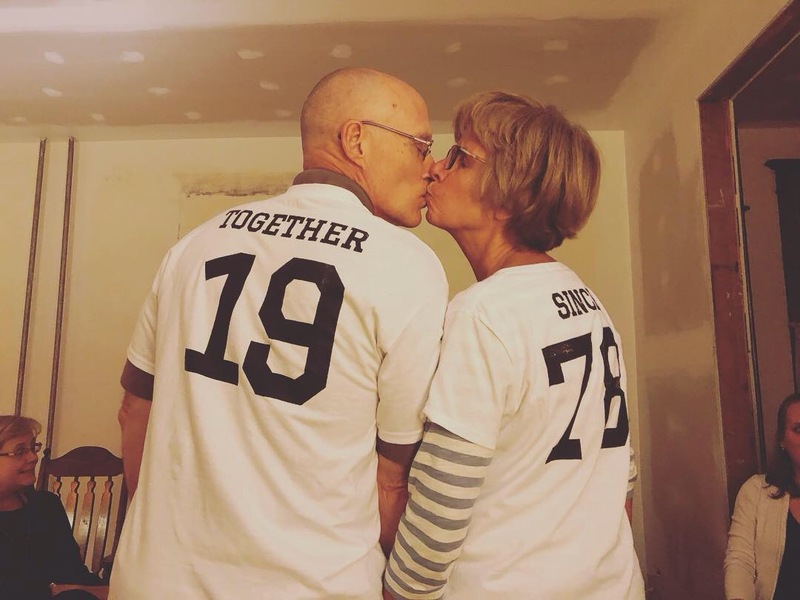 Here’s what I’ve learned from observing my parents’ decades-long love affair. 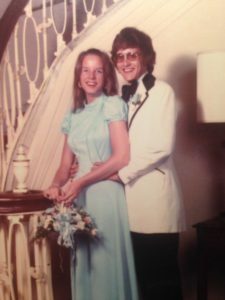 My parents met on a blind date in 1972. The evening’s activity was attending a donkey basketball game. Nope, you didn’t just hallucinate. Those actually are the words “donkey” plus “basketball” in the same sentence. Apparently this was an annual tradition at my dad’s high school: Staff members sat astride donkeys on a basketball court and competed against each other in a charity game. I don’t know which team prevailed, but I do know who won big: Bruce and Kathy. They’ve been together ever since: Proof that even the wackiest meet-cutes can lead to romance. My parents aren’t shy when it comes to grand romantic gestures. For my dad’s 50th birthday, my mom threw him a surprise party complete with custom decorations featuring my dad’s 10-year-old face. Meanwhile, my dad is like the Shonda Rhimes of gift-giving—every one’s a hit. But my parents are romantic on a smaller scale, too. They’re not shy about holding hands, smooching, or indulging in a good, long hug. They’ll run boring errands together, like going to Target and Sam’s Club, just to spend time with each other (side note: while Target is probably boring for my dad, I’m actually a huge fan). It’s a poignant reminder that when it comes to relationships, you get out what you’re willing to put in. My parents’ lives have been intertwined for 46 years. That’s more than enough time to drive each other nuts. And it’s not easy to keep your cool when you’re also trying to, say, co-parent three kids and manage a household on a single income, while also somehow maintaining your relationship with your spouse. My parents would be the first to admit that they have not always succeeded in diffusing arguments and tension. But that itself is a lesson: Kindness rules, always. Ten years from now (heck, ten months from now), you won’t even remember the trash you bickered about today. Life is full of challenges both dramatic and quotidian. Best to have fun together, or you’re just gonna sink under the weight of the world’s sadness. Case in point: Last summer, my dad had (successful!) surgery to remove a little bit of cancer. Post-op, he was still mostly knocked out from the drugs, and it was truly unnerving to see him looking so vulnerable. As the nurses got him comfortable, my mom and brother and I fretted about how swelteringly hot the room was. My dad overheard us, and, with this eyes still closed from the anesthesia, he croaked at my mom, “Every room gets hotter with you in it, hon.” Mood instantly lifted.